with matinées at 2.30pm on 20 and 27 January. All is not well in the Ankh-Morpork Opera House. A ghost stalks the dark corridors, leaving strange letters for the management and ... killing people. Granny Weatherwax and Nanny Ogg, two Lancre witches, investigate, and are soon involved in all kinds of skulduggery, mayhem and ear-splittingly loud singing. Quirky and original characters, a labyrinthine plot and numerous witty one-liners make this a treat for Discworld fans and Pratchett newbies alike. Henley Standard - "The passion of the opera combines with a bundle of laughs in a very enjoyable comic romp that works up to a swashbuckling finale"
GetReading - "It was easy to forget that just 18 actors were playing almost double that with 35 characters needed to complete the cast, as the role changed so did my impression of who was under the costume." The Whitley Pump - "Chris Moran’s production fizzes with delicious lunacy – opera has never been such fun!" 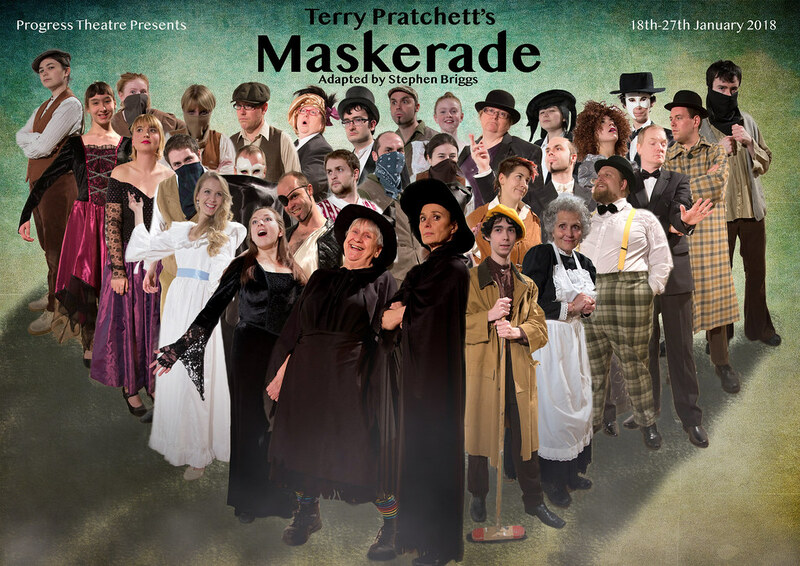 Discworld Monthly - "As for performance, it was outstanding. Melanie Sherwood delivers an exceptional Granny Weatherwax and Liz Carroll's Nanny Ogg was everything I've always imagined the character to be as I was reading the novels." 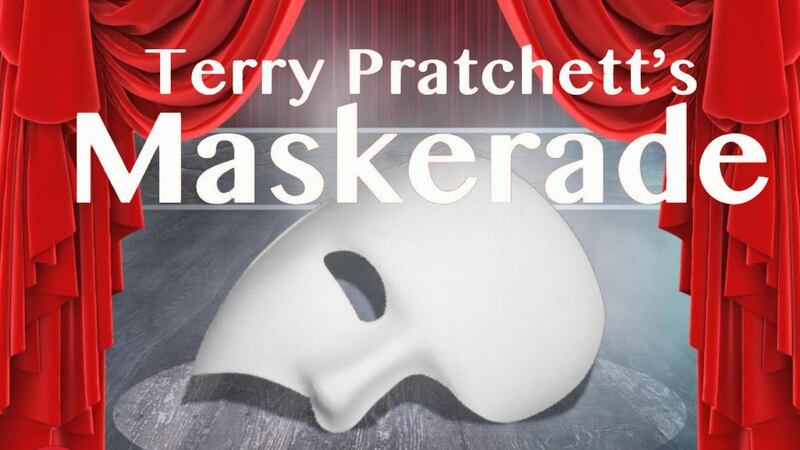 This amateur production of “Maskerade” is presented by special arrangement with SAMUEL FRENCH, LTD.